Al Jazeera America (AJAM), a division of the Doha based global media empire owned by the royal family of Qatar began broadcasting in 48 million American cable and satellite households. In January 2013, Al Jazeera acquired the assets of Current TV for a reported $400 million (of which Al Gore is thought to have pocketed $100 million). Current TV's most important asset was carriage on most cable and satellite services. Time Warner Cable, which has franchises in New York City and Los Angeles, immediately pulled the plug on Current TV upon the announcement of the sale to Al Jazeera. Al Jazeera America hopes to distinguish itself by unbiased news, compelling story telling, long-form journalism, American focused but leveraging Al Jazeera's world-wide resources. Al Jazeera America will have twelve American news bureaus, including New York, Los Angeles, Chicago, Washington DC, Detroit (surprising that it's not Dearborn), Miami and Nashville. And Al Jazeera will have fewer commercials, showing only six minutes per hour compared with 15 minutes with other cable channels. Some of Al Jazeera America's promotional propaganda requires parsing. Al Jazeera America may cite the hunger of American audiences for unbiased news, but it is worth remembering that Al Jazeera was Usama bin Laden's favorite channel for releasing unfiltered messages. Language used when referring to news events may jaundice the aspiration to be unbiased. For example, are Islamist suicide bombers referred to as martyrs? What about news that does not jibe with the Qatari Al Thami royal family's international interests? Per Bloomberg, the Qatari emiate "lent" Egypt $8 billion after the Arab Spring overthrow of ex-Egyptian President Hosni Murbarak, but a score of Al Jazeera employees quit over what they characterized as the biased coverage of the Muslim Brotherhood. I think we have created a world in which extreme views push out moderate views... We are going to put the resources behind commercializing real news. We are going to track those people who are NPR listeners, who watch BBC America. They exist. And we're going after them with real resources. The reason that dumbed-down news has prevailed is because there's a lot of money in producing it. And it's ubiquitous. You notice with these cases that it involves governments who have fallen out of favor with Qatar's rulers. Libya, Syria and Yemen, for example. Other countries like Jordan and Bahrain are experiencing similar phenomena - rebellion and protest against their ruling classes. But there's far less reporting on them. You'll notice how that corresponds to the state of Qatar's foreign policy. This is a very serious issue, because we at Al Jazeera were always proud to say: We're financed by Qatar, but the state never interferes with our reporting. Now we suddenly find ourselves in a situation in which our reporting is precisely aligned with Qatari foreign policy. A discerning news consumer knows that it is impossible to get unbiased news coverage, but one must account for their weltanschaaung and be aware of their bias. Some corporate interests like G.E. (or Comcast) powered NBC, or the Mouse House served ABC's interest influence coverage. Even conservatives are chary of Fox News Channel because News Corps increased 18.5% interest in the Rotana media entity owned by Saudi Prince Alwaleed Bin Talal. So it is incumbent for news consumers to account for being educated by an Emirate which has been hands on in tweaking the reportage. Long-story reporting is a rarity among American news networks but if so called journalists serve as stenographers for their favored sources, it is simply propaganda. For instance, during the Israeli incursions into Lebanon in 2006, Israel was initially condemned for bombing an ambulance. But it was later shown that the incident was a hoax, but not before long-form reporting got out the propaganda. Or consider the a heart wrenching candlelight march in Gaza. But will Al Jazeera America appreciate that the Gaza government might have deliberately cut the power to dramatize the issue? As Al Jazeera America began broadcasting, their headlines were: Turmoil in Egypt; School Shooting Outside Atlanta; Wildfires in the West; and the New Span of the San Francisco-Oakland Bridge. But their website had other interesting deviations. For example, the lead story was an accusation of widespread overuse of mind altering anti-malarial drugs at Guantanimo Bay a feature about U.S. soldier Staff Sgt. Bates who was convicted of a massacre in Afghanistan who is seeking a reduction of his life sentence and a headline that the CIA admitted involvement with the overthrow of the Iranian government in 1953. Is that dogged reportage or catering to an Islamist audience? There are lots of promos for Al Jazeera America to fill the time. But to be fair, this was not uncommon with cable news networks which have not gained the approbation of Madison Avenue. Fox News Channel was still showing Miss Cleo ads in 2000. Moreover, when opponents of Glenn Beck's old FNC 5 PM show, major advertisers pulled out so there were more Goldline ads. Al Jazeera America is seeking to have a distinctive visual aesthetic during their 14 hours a day of live programming. 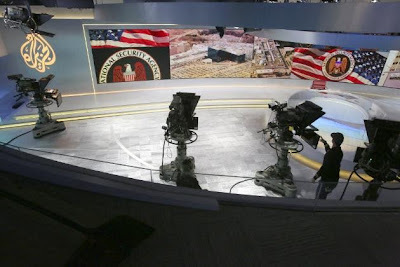 In the Al Jazeera America's New York Studios, the camera shots offer a full body shot of the anchors standing before large 10 foot video screen when not sitting behind the brushed metal desk. Alas, the picture does not look as stunning through DirectTV as it is only a standard definition picture which looks somewhat fuzzy on a large screen television. Another quirk of Al Jazeera America's news ticker is the time shown. The network premiered at 4 PM ET, but the Al Jazeera ticker indicated 23.00 ET, which might be right for Doha but not GMT which is often an international standard. Al Jazeera America has tried to buy credibility by attracting some well known names in broadcast journalism. Soledad O'Brien was lured from NBC to do special reports for Al Jazeera America. The flagship show, America Tonight, will be hosted by long-time CNN alumna Joie Chen. Al Jazeera America's financial show Real Money will be hosted by former CNN chief business correspondent Ali Veshi. A weeknight talk show Consider This will be hosted by former ABC News correspondent Antonio Mora. And don't forget about former CNN, MSNBC, Fox News and Current TV anchor David Shuster, who will now host a show on Al Jazeera America. To a conservative news junkie's ears in the District of Calamity (sic), these names sound like C List reporters, some of whom give a nodding name recognition but seemingly not remarkable reporters. It's too bad that ESPN re-hired Keith Olbermann, as Al Jazeera America sounds like a refuge for misfit reporters. But Olbermann's sports reincarnation has just begun. But could the former King of Countdown take having his opinion influenced by the Qatari powers that be lest Olbermann himself become "The Worst Person in the World."? Al Jazeera America also gained some prime studio space in the nation's capital at the Newseum. When ABC's This Week moved back to the ABC DC Bureau for its once a month show with Martha Radditz, Al Jazeera America moved into the Newseum. It is unknown how much Al Jazeera America pays for the privilege of being at the Newseum, but when a network is backed by an oil rich emirate, ordinary economics of news gathering are inapplicable. Al Jazeera America is not the only new news network which is vying for space on the digital TV dial. Glenn Beck's The Blaze TV has been seeking to get carriage on more cable and satellite services along with the subscription streaming internet medium. Glenn Beck welcome Al Jazeera America as the voice of [Sunni] Terrorists. The Blaze Network used the occasion of Al Jazeera America's premiere as a day of action to promote more carriage. One America News launched on July 4th 2013. One America News is a joint project between San Diego based Herring Broadcasting and the Washington Times. One America News seeks to fill the libertarian, independent and conservative views on the news. It is struggling with carriage issues but One America News can be watched via livestream. As for Al Jazeera America, their aspiration to be unbiased journalists will be tested with their coverage of the so called Million American March (a.k.a. the Million Muslim March) on Washington set for September 11th, 2013 as well as how Al Jazeera America treats coverage with the turmoil in Egypt and the Syrian Civil War. In the early going, Al Jazeera America seemed like a somnolent Sunni version of CNN. Such an impression might not boost ratings, but ratings (or advertising dollars) may not be the ultimate goal of Al Jazeera America. Taylor Marshall wrote an interesting essay "Did the Virgin Mary Die? The Answer May Surprise You" which sought to use art, iconography and writings of the Early Church Fathers to clear up any ambiguities from Pope Venerable Pius XII's dogmatic declaration Munificentissimus Deus (1950). Marshall concluded that Mary was laid in the tomb and hear death when her soul was detached from her earthly body but that her Assumption from living a sinless life that was totally oriented towards Christ that the Lord allowed for the Assumption of her body into heaven. Moreover, Marshall concluded that sin Mary died without sin that she was given dominion over Purgatory as prophesized in Ecclesiastes 24. 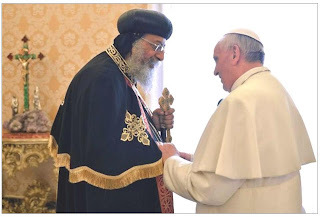 Orthodox Christianity also revere the end of Mary's life on earth. 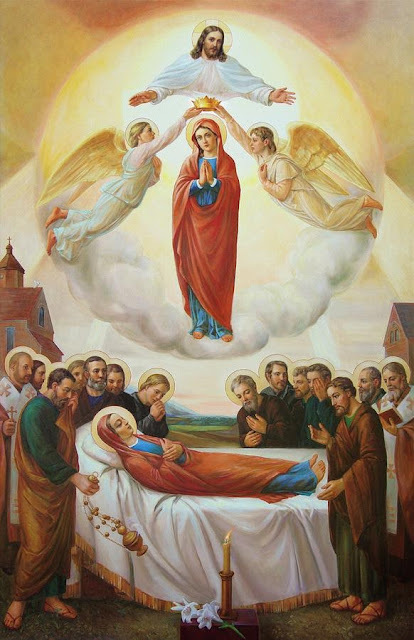 In the Eastern Churches, The Dormition of the Theotokis or, to use more contemporary parlance, "the Falling Asleep of the God-bearer" is sn as a transformation of Mary's life into a heavenly and immortal existence without the shadows of gloom or death. Although former Vermont Governor and 2004 Presidential Candidate Howard Dean (D-VT) has been out of the practice of medicine for a number of years in lieu of politics, the Doctors delayed diagnosis of IPABs is right on the money. Recently, Howard Dean wrote an opinion piece for the Wall Street Journal in which he prognosticated: "The IPAB will be able to stop certain treatments its members do not favor by simply setting rates to levels where no doctor or hospital will perform them." For those who did not thoroughly study the 2,700 pages of legislation that comprised the ironically titled "Affordable Care Act", otherwise know as Obamacare, IPABs are the 15 member Independent Payment Advisory Board which the HHS Secretary Sebilus appoints that decides the amount that the government will reimburse physicians for medical procedures. This was supposedly intended as a cost control mechanism for Medicare, but in reality will act as a rationing board. The IPAB name implies that these opinions are advisory, but those opinions become the reality. A medical advisory board made the modest proposal in 2011 that yearly mammograms are unnecessary for women between 40 and 49, and HHS suggesting that self-examinations of breasts. It did not seem that there were medical breakthroughs which prompted these changes in practice but it certaily would save costs for a single payer system. At the start of his first term, Dr. Betsy Mc Caughey observed that President Obama's former Health Advisor Dr Ezekiel Emanuel (the brother of then Chief of Staff now Mayor of Chicago Rahm Emanuel .D-Chicago) believed that doctors serve two masters: the patient and society and that medical students should be trained to provide socially sustainable, cost-effective care." While public pressure forced the Obama Administration in January 2011 to drop "Complete Lives System" inspired end-of-life counseling during the elderly's annual check ups, the philosophy of cost cutting during the last 18 months of a person's life remains with IPABS. Instead of cajoling vulnerable senior citizens to just "take a pill", the patient is cut out of the process by "Advisory Boards" which make certain treatments financially unviable, depending upon one's status. 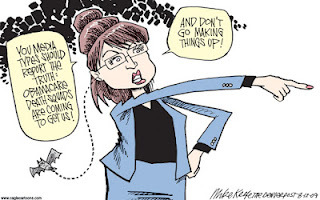 When Sarah Palin labled IPABs as "death panels", she was roundly criticized as a scare monger who was stupid, don't cha know? A couple of years later, Dr. Dean diagnosed IPABs as rationing boards, it makes more sense, right? 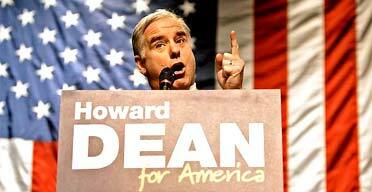 Howard Dean suggested that: "Getting rid of the IPAB is something Democrats and Republicans ought to agree on." Obviously, the former DNC chair has not gotten with the program to think that Obamacare is about improving healthcare in America. It seems that it more about control. Unless Tea Party House Republicans are successful in defunding Obamacare from the FY2014 budget, all Americans will be mandated to participate in the program or pay a tax. Nevertheless, the IRS will be in charge of collections and monitoring all of the health information. Recent reports have indicated that health records will be vulnerable to hackers and scammers. In addition, the IRS has shown political partisanship in vetting Tea Party tax exempt applications and for surrepticiously sharing this information. Why couldn't the Obamacare cost cutting extend to denying treatment to political opponents? Allow me to dispense a rhetorical palliative to Obamacare opponents– as P.J. O’Rourke put it: “If you thought that health care is too expensive now, wait until you see what it costs when it’s free.” Alas, the Affordable Care Act is doubling many peoples’ rates and may cost some their hides. Cell Phone Early Upgrades– Next, Edge, Jump? There was some legal ambiguity as to whether the EFTs were considered “rates charged” and “other terms and conditions”, which would make it subject to the Federal Communication Act and thereby preempt state lawsuits. In 2005, the Cellular Telephone and Internet Association requested a declaratory ruling from the FCC on the matter. Alas there was not regulatory clarity on this multi-million dollar linguistic interpretation, but many carriers started to pro-rate their fees. In 2009, Verizon Wireless, the nation’s largest cellular provider, doubled its EFT to $350 for "advanced devices” (i.e. smart phones), at which point the Federal Government exhibited agitation. There were Congressional hearing and the chairman of the independent Federal Communications Commission Julius Genachowski spoke about the sticker shock of EFTs and vowed to step up consumer protection about early termination fees while ensuring that carriers were adequately compensated for their subsidized handsets. Cellular service providers got the message that both Uncle Sam and consumers were unhappy, so they figured out other ways to cut their losses. Recently, T-Mobile tried to co-opt a European approach by not offering subsidized handsets with supposedly lower monthly plan rates. Not being locked into a contract offers the illusion of freedom, but full freight for a smart phone can be $600 up-front and consumers could walk away with their GSM phones and go to ATT or a Mobile Virtual Network Operator (MVNO) such as Wal-Mart’s Straight Talk to get lower rates. While many cellular consumers like the notion of not being bound by an iron clad contract, what they really want is to feed their fetish for a constantly current cell phone. Whether a consumer is locked into a two year contract or paying the full sticker price for a smart phone, there are still ties to a handset which makes a consumer chary to switch. Several of the major cellular carriers are accommodating the consumer desire for constantly current cell phones with new programs. 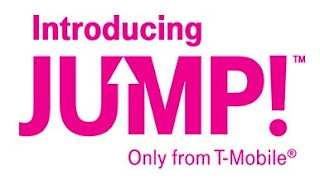 T-Mobile’s Jump program is a no-contract cellphone customers who pay an extra $10 a month for insurance and Jump plan participation. T-Mobile typically runs a credit check on prospective new customers in order to determine how much of a down-payment is required for a phone purchase in 20 monthly installments on top of your phone plan (although T-Mobile stresses that everyone eventually pays the same price for the handset). But if you are a Jump plan participant, after six months a consumer can trade in an old handset and purchase another on a 20 month installments, but the consumer is no longer responsible for payments on the old handset. Of course, if a customer wants to keep the handset, he must pay the remainder of the balance of the installments. 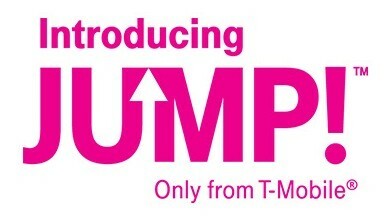 There are two caveats to T-Mobile’s Jump Plan. Firstly, a consumer needs to pay the tax on the full phone (e.g. with a 6% tax a $600 phone would cost $36 tax on top of whatever down-payment is required). Moreover, the Jump Plan trade in phone needs to be in working and in good condition. But since the Jump Plan also has built in insurance so one could make a claim with the Premium Handset Security Protection Plan and pay the up to $175 and trade in the fixed (or more likely refurbished) phone which T-Mobile returns to you. Currently, T-Mobile is offering a zero down on many handsets (eliminating the down-payment) but check with T-Mobile to determine if this promotion is still available to you. 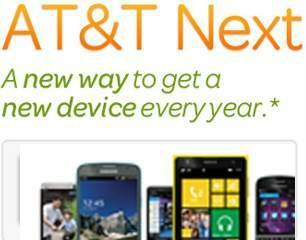 AT and T Next is a way for an AT and T customer to get a new phone every year. When a customer chooses AT and T Next, the price of their technology is broken into 20 monthly installments (with no finance charges). At the time of purchase, the customer does not have to make a down-payment but must pay the full sales tax. After 12 monthly payments, a customer can trade in his device and receive a new one, and no further payments are required on the old device and the customer starts over on a new installment plan with no activation or upgrade fee. After 20 months, a customer does not need to make more monthly payments and the superannuated telephonic toy is yours to keep. For AT and T Next, a customer must remain in good standing and the trade in must be in good working condition. Of course AT and T reserves the rights to change terms and conditions. A savvy consumer not committed to one major cellular carrier should closely scrutinize what the sticker price is on a cell phone. Mac Rumors noted that AT and T needed to lower the monthly installment price for an Apple i-Phone 5 by $5.50 a month to undercut Verizon’s price. Now Verizon seeks to cut into this anxious upgrade consumer segment with Verizon Edge on August 25th 2013. The Verizon Early Upgrade Program entails a consumer purchasing a phone on a month to month plan and the full retail price is broken up into 24 installments. When purchasing the phone, the consumer makes the first equipment payment and presumably pays sales tax on the full retail price of the device. With Verizon’s Edge, after six months, a consumer can choose to upgrade if he has paid 50% of the full retail price of the handset and returns the working handset. A consumer need not pony up supplemental cash to upgrade after making 12 monthly installments and also surrendering the device. There are no upgrade fees or finance fees attached. The other catch is that a Verizon Edge consumer still pays the high phone plan rate which other consumers have subsidized handsets with a two year contract. 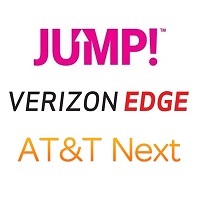 For the electronics addict who craves the latest and greatest technology, the T-Mobile Jump, AT and T Next or Verizon Edge might seem like an attractive offer. T-Mobile’s deal requires insurance which costs extra but could effectively be seen as a $60 early upgrade fee. The downside with T-Mobile’s early upgrade offer is potentially requiring a down-payment for the handset to less credit worthy customer. Verizon Edge may allow for an early upgrade after six months, but one will wait a year of installment payments to get to the 50% sticker price which has no fees attached. AT and T Next requires a consumer to wait for a year to get his “next” early upgrade, but AT and T has a track record of inflating the full retail price of its I-Phone and AT and T has not lowered its phone plan rates like T-Mobile so caveat emptor. These early upgrade programs are a good compromise which allows service providers to re-coop costs on handsets without EFTs while effectively locking consumers into relationships with cell phone providers without an iron clad handshake. Consumers who opt into early upgrade programs can get the latest and greatest (at that moment) technology and not be stuck waiting so long for an upgrade. And these plans did not require government mandates or Uncle Sam engineering the marketplace. But this cell phone flexibility does come at a cost. CNET notes that a customer upgrading every year would pay $55 extra for the privilege of AT and T Next. But if a customer held on to the phone for 20 months, he paid full retail for a phone which others received as a subsidized handset. So it is crucial for consumers using these programs to be sure that they actually want to do early upgrades. Personally, I am more worried about having favorable cell phone plan rates and coverage rather than periodically having a shiny new telephony toy. However, I appreciate that I am in the minority in the marketplace. As for those who have a phone fetish to always have the latest and greatest, my tongue in cheek advice is : “Next, Edge, Jump”! Although the radio waves are not physically realigning themselves, cellular companies have been to stead themselves for the future. T-Mobile, which escaped from an AT andT acquisition by the FCC blocking the merger, grew by acquiring MetroPCS. Although the “T-Metro” merger added 9 million subscribers to the Deutsches Telekom holding company’s 34 million base, it remains the fourth largest US cellular company. But size isn’t everything. T-Mobile did not acquire MetroPCS just to grow. T-Mobile wanted the MetroPCS spectrum. Currently, MetroPCS is a CDMA carrier. T-Mobile plans to phase out CDMA by 2015 and migrate customers to a HPSA+ system, which is not considered problematic as 60% of MetroPCS switch handsets each year. But T-Mobile USA will then utilize that spectrum for 4G LTE service. This is crucial as currently T-Mobile boasts that their plans have “Full Speed LTE *”, however if you read the fine print, it is only for the first ½ Gigabite, then the data is throttled down to "Edge"-like 2G speeds. In a data hungry consumer environment, this is not real enticing to those who have graduated from feature phones. Perhaps Metro-PCS’s could help a bit in data coverage, as T-Mobile’s data coverage is scant outside of major metropolitan areas, and who has the patience for 1G connections? 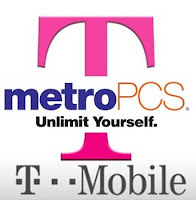 What remains to be seen is if T-Mobile USA will support the agressive Metro-PCS plan to have Voice over LTE (VoLTE). Some industry speculation is that T-Mobile USA will wind down MetroPCS VoLTE naturally over a couple of years as customers shift to GSM/HPSA+ handsets. Then T-Mobile USA would roll out their own VoLTE platform. But will that be too late? The 78% acquisition of Sprint by Japanese Softbank for $21.6 billion was delayed until this June 2013 to allow Sprint completed its acquisition of the remaining 50% of Clearwire. There was a clear synergy when Sprint’s 4G service was premised on Wimax like Clearwire. But Sprint clearly wanted Clearwire’s spectrum. Clearwire’s bankruptcy would have forced Clearwire to auction its large spectrum holdings and left it’s partner Sprint with worthless holdings. In an auction environment, deep pocketed cellular rivals Verizon Wireless and ATT would have cost Sprint more to acquire the up for grabs spectrum rights. So the $7 billion acquisition cost for internet wholesaler Clearwire made sense. Now Sprint can allocate the 160 MHz of spectrum to bolster the third ranking US cellular provider’s LTE data roll out. The added spectrum may allow Sprint to be a cellular mecca for truly unlimited data consumers. One might wonder why AT and T was willing to pay $1.2 billion to acquire Leap Wireless subsidiary Cricket Wireless? AT and T had just launched IO pre-paid phone subsidiary so it did not need another Mobile Virtual Network Operator (MVNO). Cricket only added 5 million subscribers to second largest US carrier’s 96 million subscriber base. So why did AT and T pay nearly a 90% premium for Leap Wireless stock? Clearly, the answer is spectrum. Cricket has a 60% under-utilization of spectrum. After the FCC blocked the ATT-T-Mobile merger in 2011, AT and T was hungry for spectrum. Sprint’s completion of the Clearwire acquisition denied other opportunities for cheap spectrum. While it is only anecdotal, there was a marked migration from AT and T after the carrier lost I-Phone exclusivity in 2011 was data coverage. Recent speed tests showed that AT and T’s 4G LTE network was speedier than Verizon Wireless, but Verizon’s LTE footprint is much larger. Gaining more bandwith may allow AT and T to broaden its LTE coverage with an added benefit of gaining another prepaid distribution network. 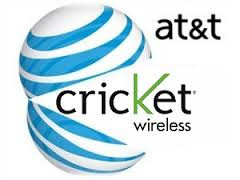 Cellular consumer activists, such as Harold Feld of Public Knowledge, condemned the proposed AT and T acquisition of Cricket Wireless, claiming that AT and T already has enough wireless capacity and thinks that low-income and poor credit customers would be adversely effected. Perhaps it should not be surprising in the class envy age of Obama when community organizers dictate when companies "have enough" and should pay "their fair share." But such animus is disconnected from reality. Carriers seek more spectrum to keep up with customer demands. The cellular industry has shifted from stingily selling voice minutes to essentially making them ubiquitous, but carriers make their money on data. Verizon Wireless hopes to shift all of its voice calls to VoLTE by the end of 2014 as it is a more efficient conveyance of voice calls and then use the freed up spectrum to meet data needs. 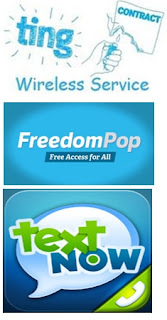 In the MVNO market, Ting, FreedomPop and TextNow are set to offer extremely inexpensive cellular service which is made possible by employing VOIP (and VoLTE) technology. Such services are built upon the backbone of excess capacity from major carriers (e.g.- Sprint). Certainly, community activists should take cheer from the fact that these aspiring cellular carriers allow for Bring Your Own Device (BYOD) from older Sprint smartphones with clean ESNs, which is green and cost conscious. Walmart's Straight Talk cellular service can give a second life to AT and T and T-Mobile GSM phones and old Verizon CDMA handsets. Sprint owns both Virgin Mobile USA and Boost Mobile, which have full smartphone services at half of the end cost of their parent company, albeit demanding pre-payment. Then Sprint has Pay-Lo which offers very inexpensive Voice and Texting feature phones (dumb phones) with limited cellular web access. And of course, Assurance Wireless et ali. 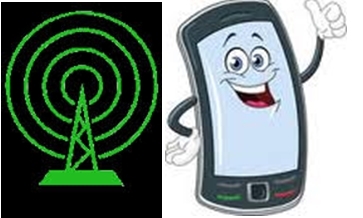 provides the Obama-phones to provide cell service to those below the poverty line. So do-good NGOs like Public Knowledge should not be worried that the poor are being underserved by the cellular industry. Even as the cellular industry figuratively shifts towards data spectrum, most consumers just care about getting a new handset and give little consideration to the details of a major household expense--their cellular bill. 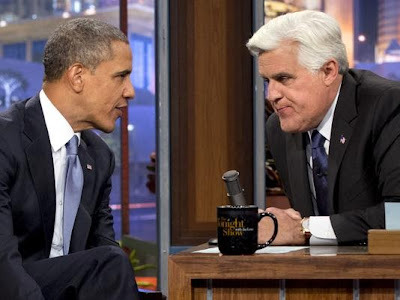 During the close of President Barack Obama's sixth appearance as Chief Executive on NBC's Tonight Show with Jay Leno, Mr. Obama sought to embarrass penny pinching opponents to infrastructure "investments." President Obama opined that as the Panama Canal is being widened to accommodate Super-Tankers, Gulf Coast ports like Charleston, South Carolina, Savannah, Georgia and Jacksonville, Florida needed to dredge their ports lest these trade tankers go elsewhere. Perhaps these ships will navigate in the Gulf instead of venturing to Southeast Atlantic seaports. 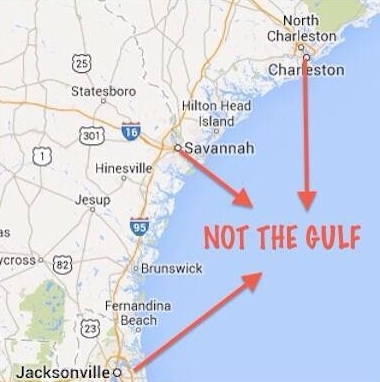 This gulf in geographic knowledge should not be surprising to a high information voter. 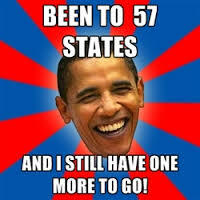 During the 2008 Presidential election, then candidate Senator Obama (D-IL) claimed that he had visited 57 states and had one more to go. While such a verbal flub like the 57 states faux pas may delight detractors, it is easy to understand it as a slip of a tongue from a tired candidate without the retinue of White House staffers. For the latest Late Night appearance, Mr. Obama is coming off of vacation (again). The President sought a softball interview with an entertainer. 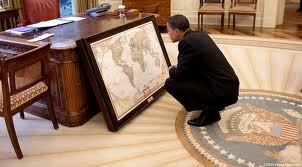 Mr. Obama brought out specifics and they had no correspondence to reality on the map. When President George W. Bush mispoke, the establishment liberal media (a.k.a. the Lamestream Media) was quick to label him a dunce and persiverate in mocking the former President's intelligence. More likely than not, the Lamestream Media will ignore this flub because it does not fit their natural narrative and asking hard questions to our Dear Leader may cause a journalist their job or access to the White House.